Happy Friday! The weekend is here, it’s official. If you’re looking for things to do to occupy your weekend, I did the hard work and selected a few events for you: two movies, one exhibit and two music shows to choose from. 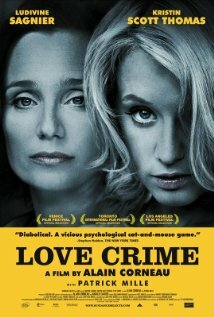 Love Crime (Crime d’Amour): Currently playing at the Clay Theater, in San Francisco. Directed by filmaker Alain Corneau, Love Crime is an intense thriller that takes place in the corporate world of a US multinational and focuses on the relationship between a top executive and her young and devoted assistant. Click here to see the trailer, and here to read the review from Mick LaSalle, the San Francisco Chronicle’s movie critic. 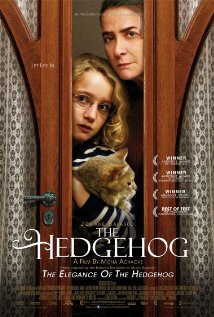 The Hedgehog (Le Hérisson): Currently playing at the Bridge Theater, in San Francisco and at the Rafael, in San Rafael. A very poetic, touching movie that i got to see on the plane heading to France, and that I highly recommend. This 2009 French tale is the adaptation of the novel from Muriel Barbery, published in 2006, which quickly became a best-seller. It features Josianne Balasko, a well-known French actress who plays a concierge in a Parisian apartment building and her interactions with the people living upstairs from her, also a reflection of class differences. Living upstairs is 11-year-old Paloma, always a video-camera on hand and documenting her life is fascinated by the thought of suicide but also of the grumpy concierge. A very funny and sweet movie. Click here to see the trailer, and here for an official movie review from the New York Times. You have less than a month to take time to go see more than 100 masterpieces from Spanish master Pablo Picasso at the De Young Museum in San Francisco. Paintings, sculptures, drawings and early prints from the painter are exhibited temporarily. They belong to the Musée National Picasso, in Paris. The Museum is currently closed for renovation until next year. The exhibit, which has been on since June 11 will end on October 10, so if you haven’t already, go check it out. And if you need a refresher on the work of Pablo Picasso, take a look at this site dedicated to the master. 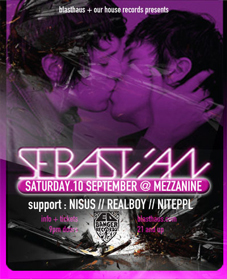 SebastiAn, a Frenco-Serbian electro/house artist is mixing at San Francisco’s Mezzanine, on Saturday, September 10. He already has quite a reputation behind him, notably his first releases on Ed Bangers Records in 2005. He’s also worked with big names such as Daft Punk and The Rapture. It’s hard to put sounds into words, so don’t wait any longer: listen to his stuff and if you like it: go. Should you be less into the house/electro scene, but still feel like feeding your ears this weekend, well you’re lucky. 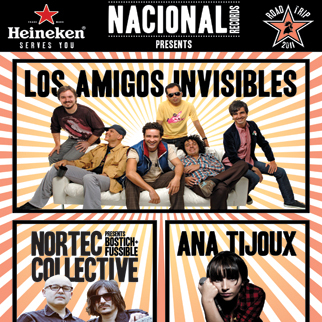 Ana Tijoux, a Franco-Chilean musician is scheduled at the Regency Ballroom this Sunday evening. She’s a real figure of Latin American rap, raps in Spanish and was invited to participate last year at the prestigious South by South West Music Festival. She is promoting the release of her second album that came out in 2009. She played on NPR’s tiny desk last year and on World Café this Spring, and visited SF last summer as well so if you missed your chance then, Sunday’s your chance.